The Roads of England. West of London. Going West from London, we traveled along the M4 motorway. 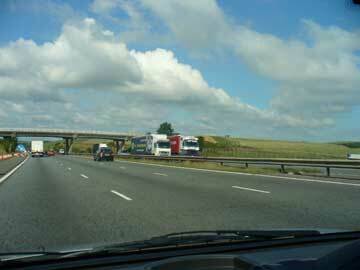 Then turned North onto the A46. 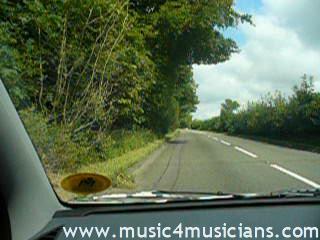 David got a trifled worried, sitting on the left, not driving, and having the high hedges at the sides of the road so close to him. This video was taken from there. For high speed connections, here's a file that plays on Windows Media Player in 320x240 size. 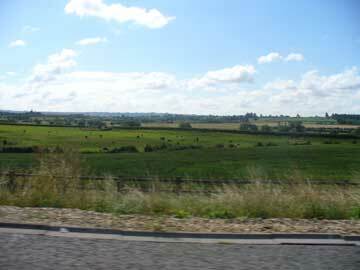 From the M4 motorway, to the A46, towards Hawkesbury Upton.